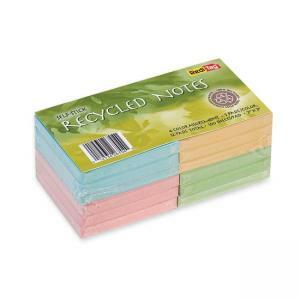 Self-adhesive note pads are made of 100% recycled material with 80% post-consumer material. Write on with virtually any pen or pencil. Assorted colors include green, pink, yellow and blue.